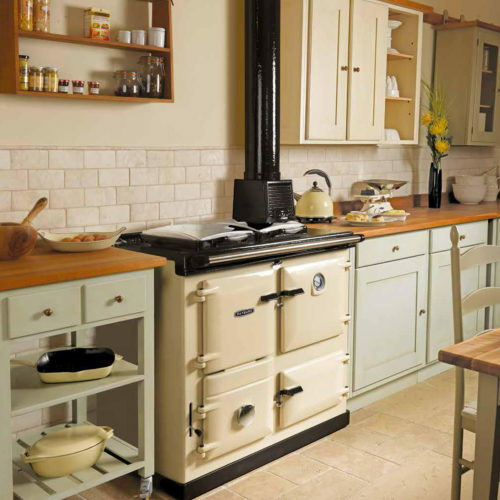 AGA Rayburn 400 models are perfect for today’s fitted kitchens, compatible with the standard height and depth of 600mm worktops. 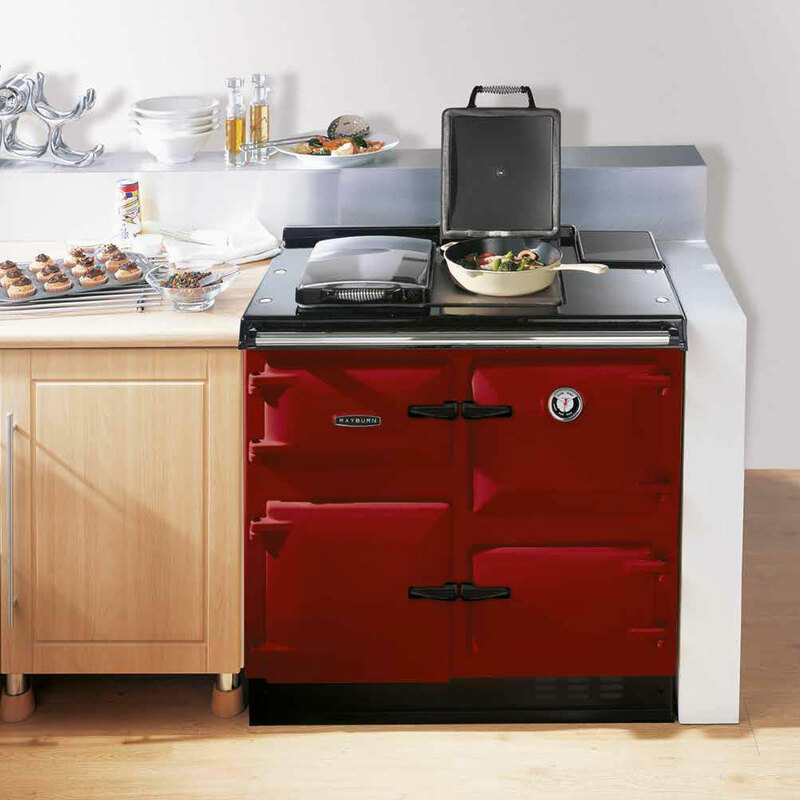 The 480CD is a design classic that will immediately individualise the feel and style of your kitchen. 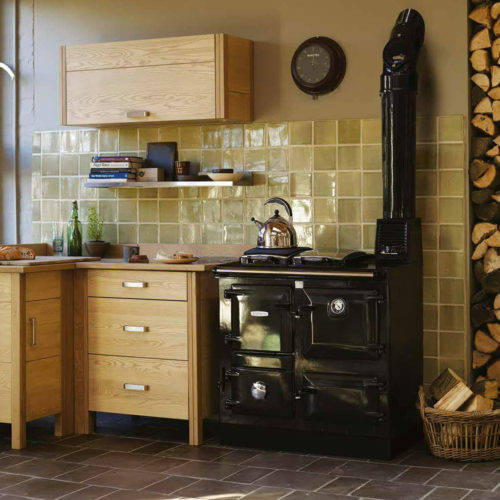 Available with a balanced flue, which means that there is no need for a chimney and it can be conveniently situated against any suitable outside wall. Independently tested, results show the boiler to be 90% energy efficient – an ‘A’ rating, which means lower fuel bills and reduced emissions. 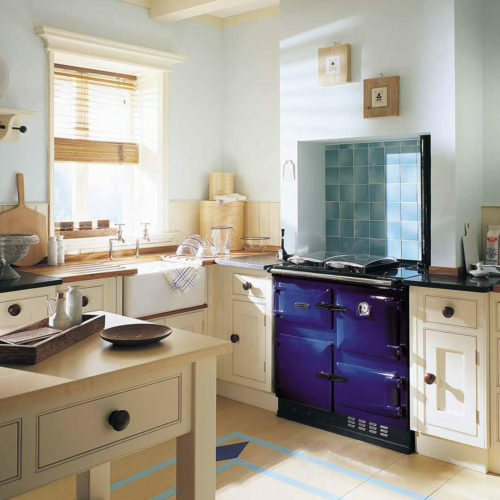 This level of efficiency is achieved because the AGA Rayburn 480CD uses modern gas condensing boiler technology, with a proven, super-efficient heat exchanger built in which utilises the heat energy from the boiler’s exhaust gases, (lost to the atmosphere with a conventional boiler), to also heat the water in the system. What’s more, it is fully modulating so that it only produces the output required. 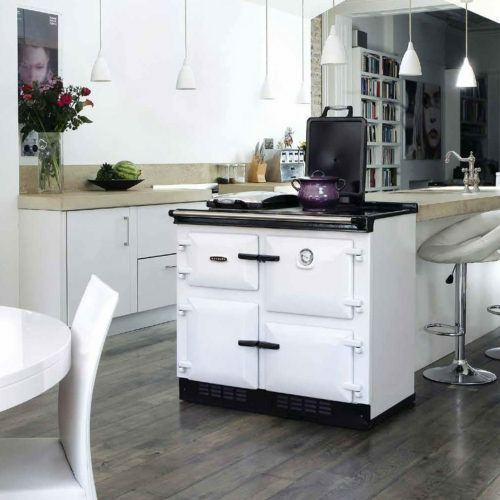 This means it can heat a two bedroom flat as efficiently as a six bedroom house, with the ability to heat up to sixteen radiators. And with its Eco-mode setting, it can regulate the temperature of the water within the system to keep it at the optimum level.